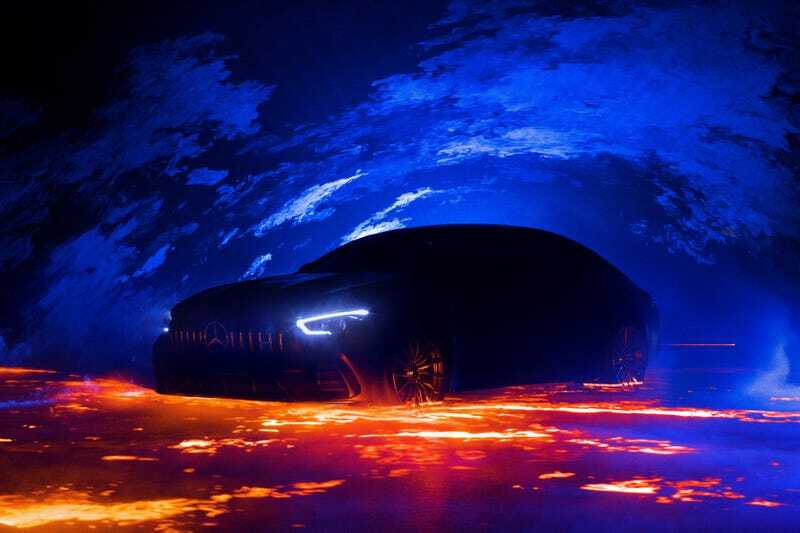 Mercedes-AMG are teasing a production version of the four-door ‘GT Concept’ they showed at Geneva last year. The sedan version of the popular GT sports car should bow at the Geneva show, which begins on March 8th. The concept was shown with a hybrid-amplified version of AMG’s 4.0-liter twin-turbo engine. In production this engine produces 603 horsepower, and with the concept’s hybrid addendum, a massive 800 horsepower. It’s possible Mercedes-AMG will introduce a hybrid hyper-sedan to take on Porsche’s Panamera Turbo S E-Hybrid. We only have to wait a few more days to find out. For now, this teaser is all we have.